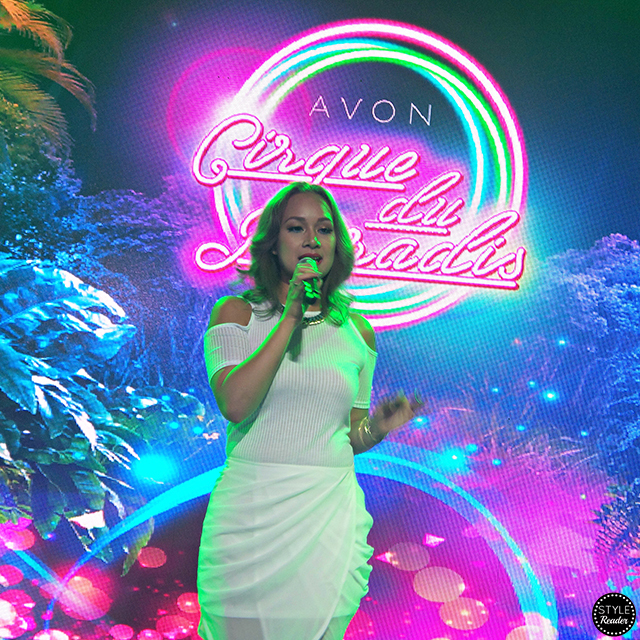 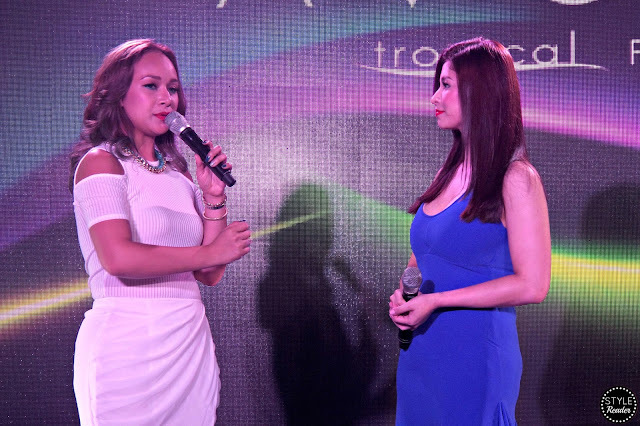 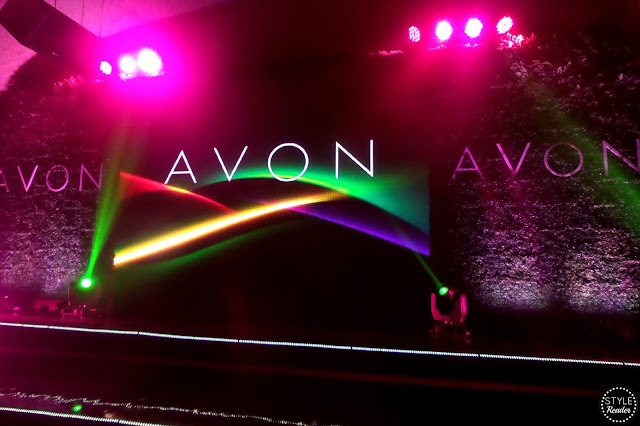 Last May 21, I had the privilege to attend one of Avon's many events for May. 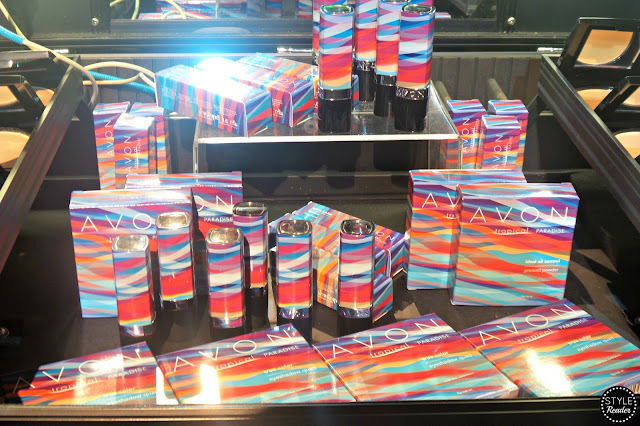 They launched a new and limited edition Avon Makeup collection that is perfect for this season. 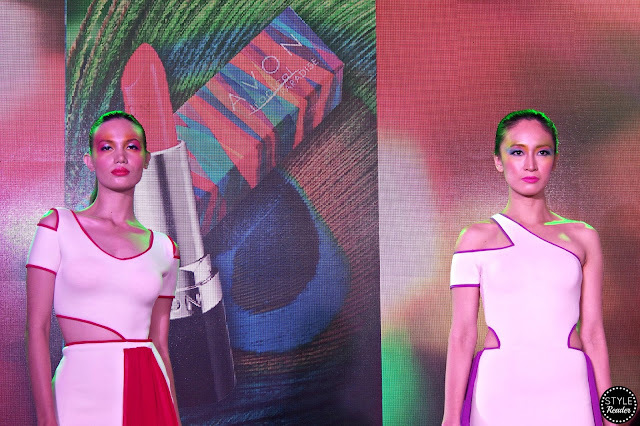 A collection that embraces a more vibrant and bolder outlook when it comes to beauty. 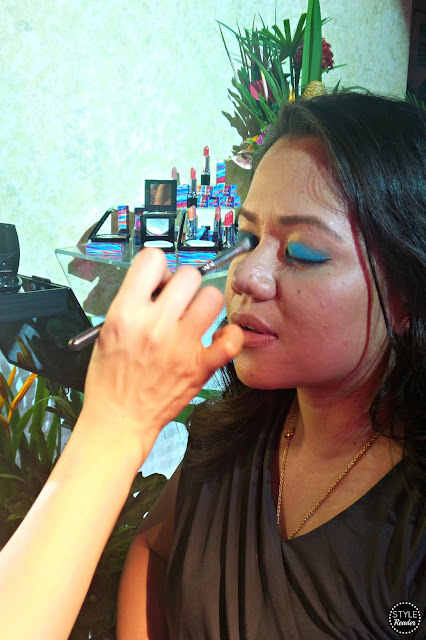 The Avon Tropical Paradise collection lets us discover new depths of beauty with the curated collection of enticing hues of blue and hints of warm coral. 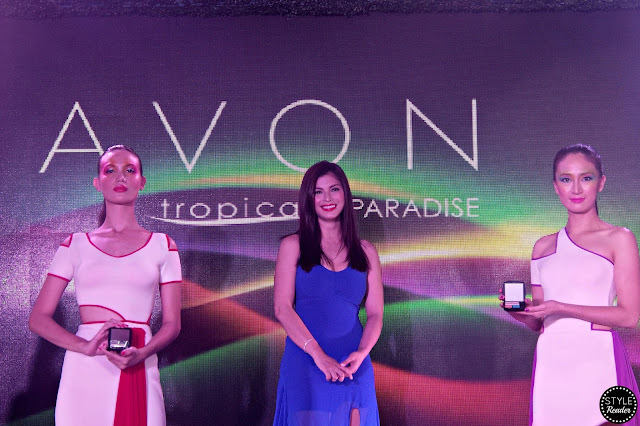 It greatly reminds me of a summer vacation in an exotic, lush island with a view of the most beautiful waves you've ever seen. 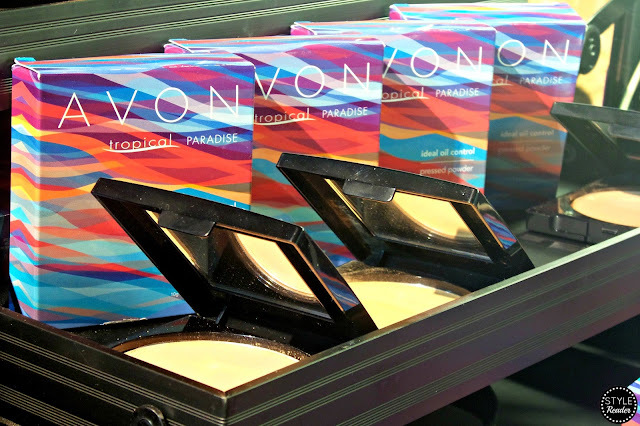 The collection comprises of the Tropical Paradise Ultra Color Lipstick (Silky Peach, Tender Kiss, Poppy Love, Beyond Pink, Toasted Rose, Rich Ruby), the Tropical Paradise Ideal Oil Control Pressed Powder (Oriental, Natural, Neutral, Medium), and the Tropical Paradise True Color Eyeshadow Quad (Aquatic, Precious). 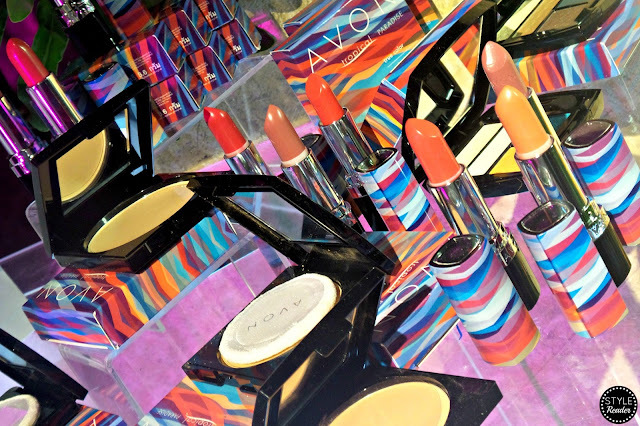 Avon also had a beauty section in the venue wherein you can try the products yourself and to see them up close. 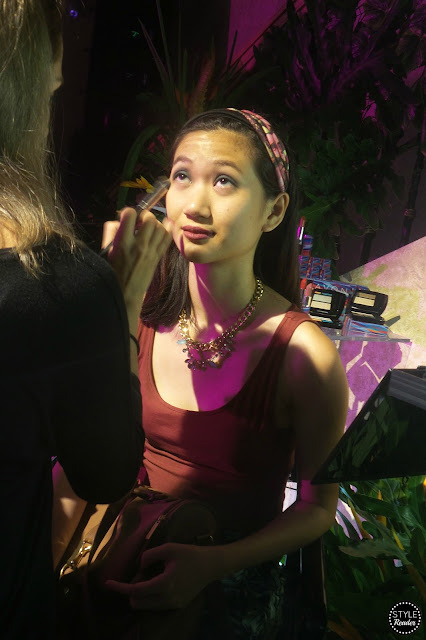 Plus, there were makeup artists to assist the guests and to give them a quick Tropical Paradise makeover! 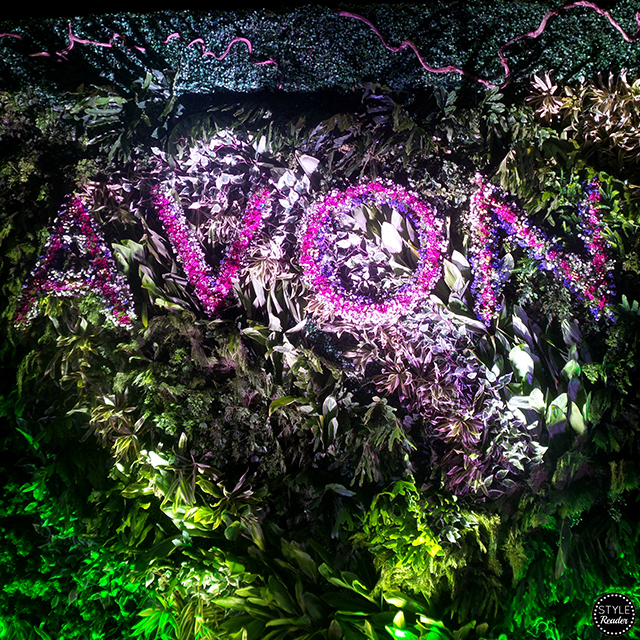 Aside from the product launch, Avon also introduced us to their new vision: Beauty For A Purpose. 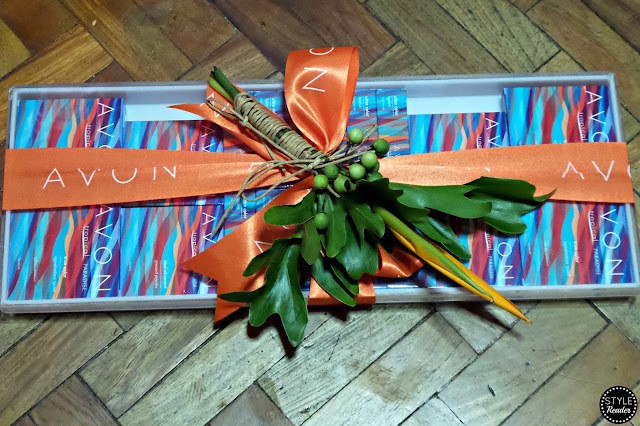 The launch commenced with a circus theme. 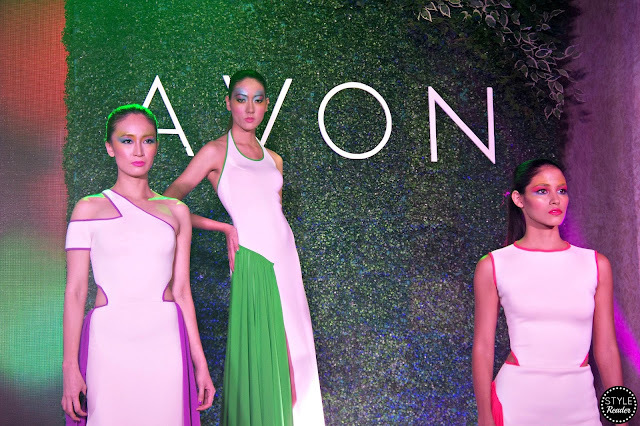 There were dancers on the pole for starters then a fashion show followed showcasing the beautiful shades of the Avon Tropical Paradise collection. 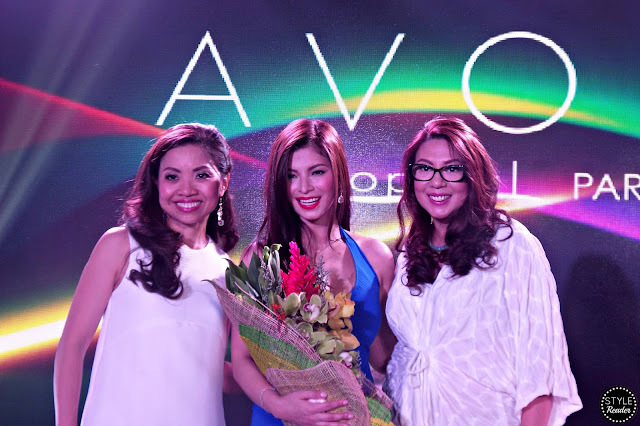 After the show, we welcomed a familiar face who carried the Avon Makeup brand ever since she started in the business. 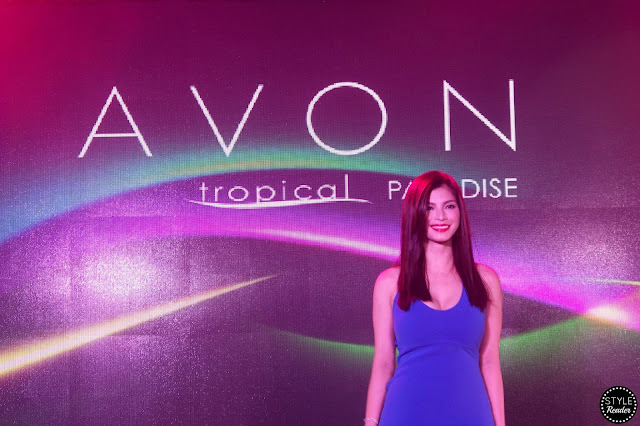 She knew it and was an Avon user even before she became one of the hottest celebrities to date. 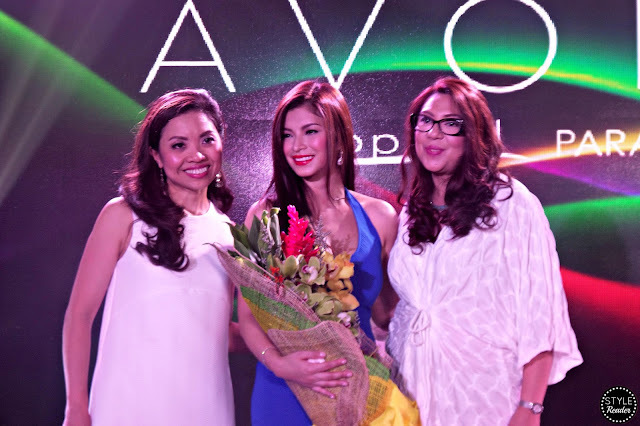 But most importantly, she embodies a true modern Filipina--beautiful, well-grounded, strong, and empowered. 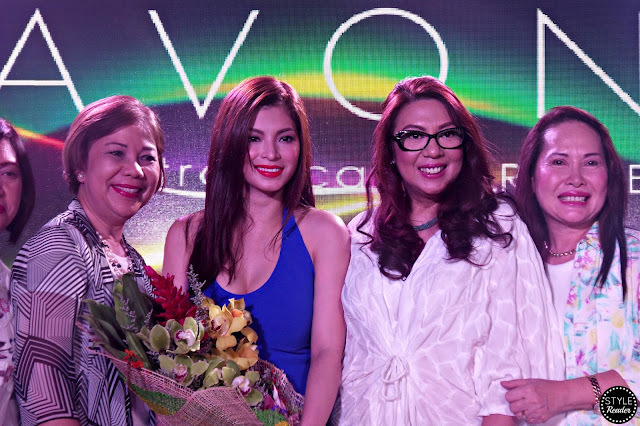 Who I am talking about is none other than the ever radiant and stunning, Angel Locsin. 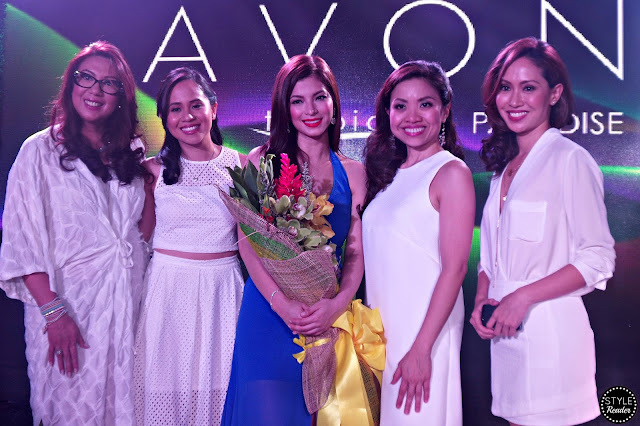 Angel shared how she is so grateful to be back with her Avon family. 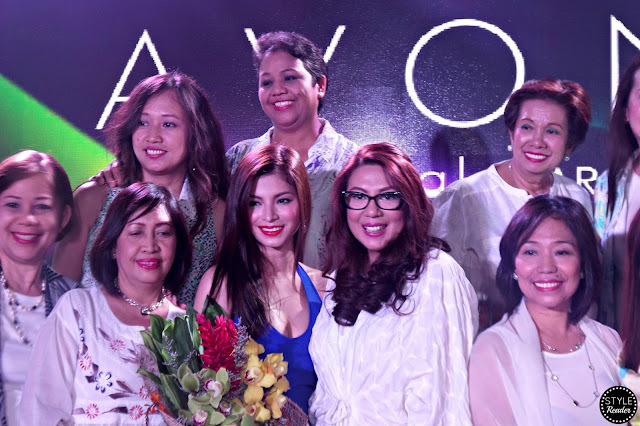 She mentioned that it was truly a blessing to be working with the same old people who were there ever since she started. 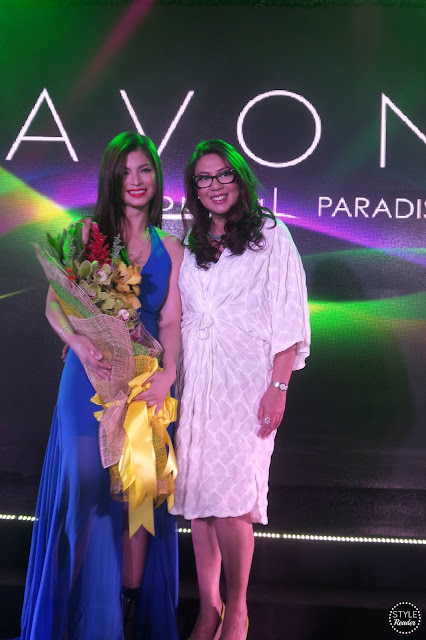 Aside from growing up with the brand, she's also a fan and she believes in Avon's mission to give every woman the opportunity to be successful in life while embracing their beauty with the help of Avon's products. 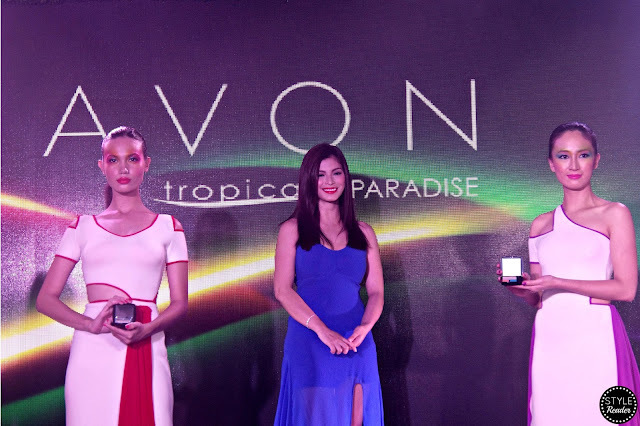 Angel Locsin also loves using Avon. 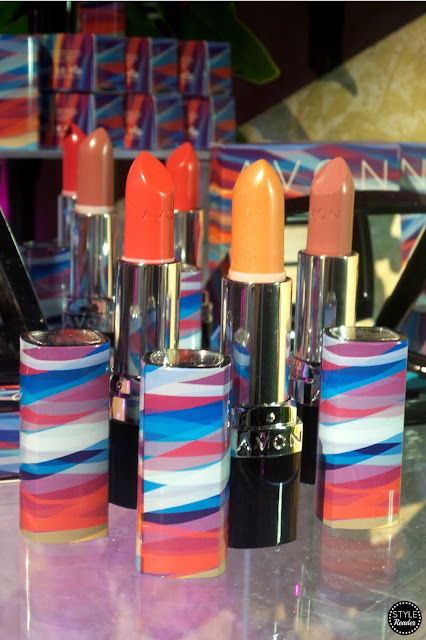 Among all, her favorite is the Tropical Paradise Ultra Color Lipstick in Poppy Love. 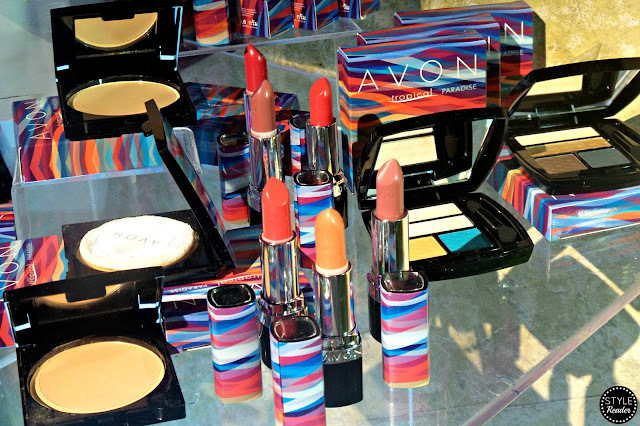 She loves how vibrant and bold it is that she can even rush out of the house wearing it without putting on other products on her face. 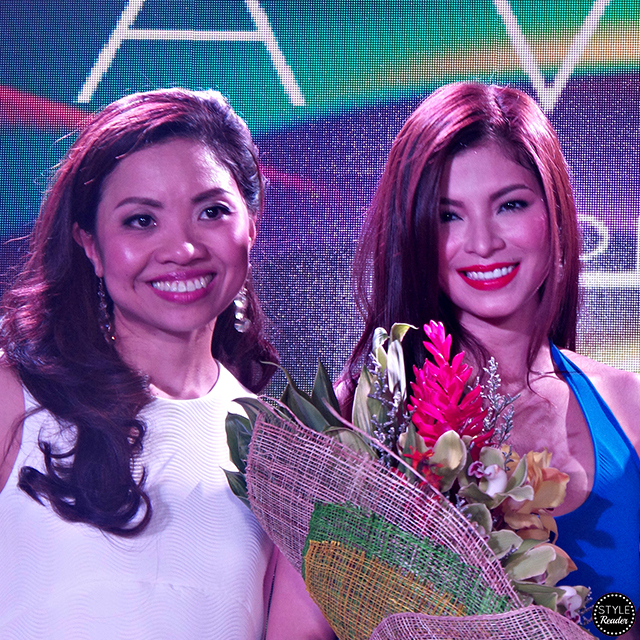 I must say that I witnessed her genuine personality and her kindness firsthand. 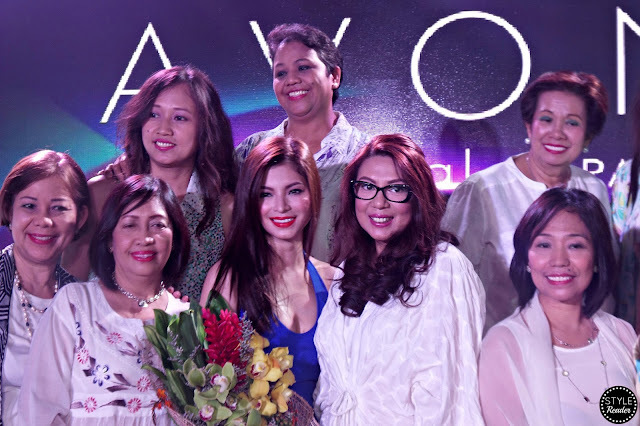 It might have been an observation but I believe that she was sincere and just showing the real her. 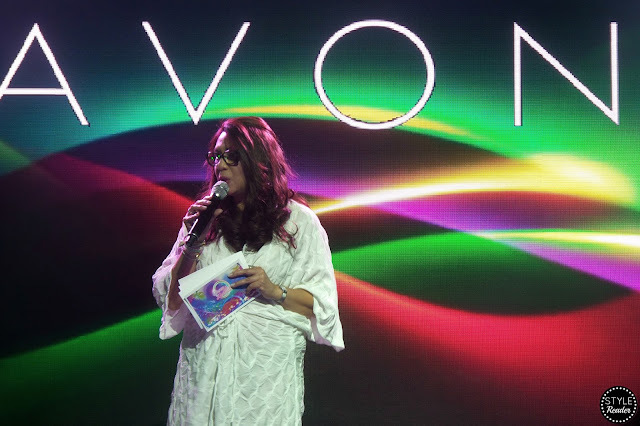 I definitely had a wonderful time in the launch. 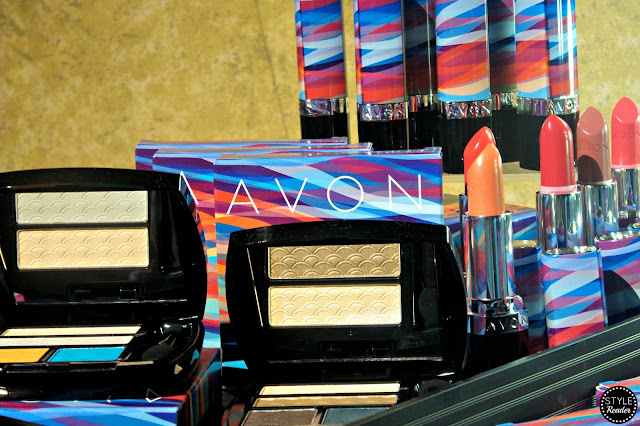 Congratulations to Avon for giving us another set of must-have Avon Makeup collection that I am looking forward to try, and for sharing your new vision with us. 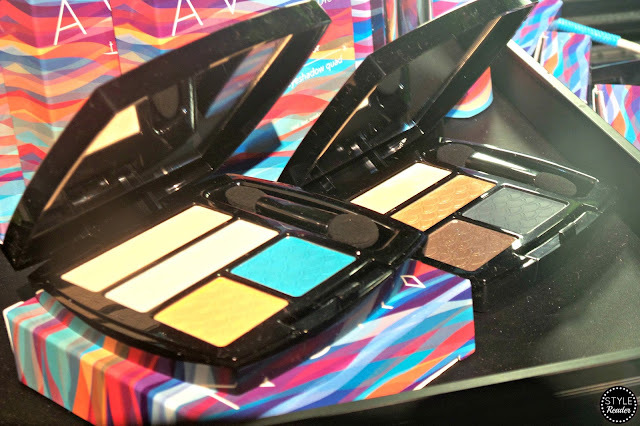 I got my own stash of the Avon Tropical Paradise collection! 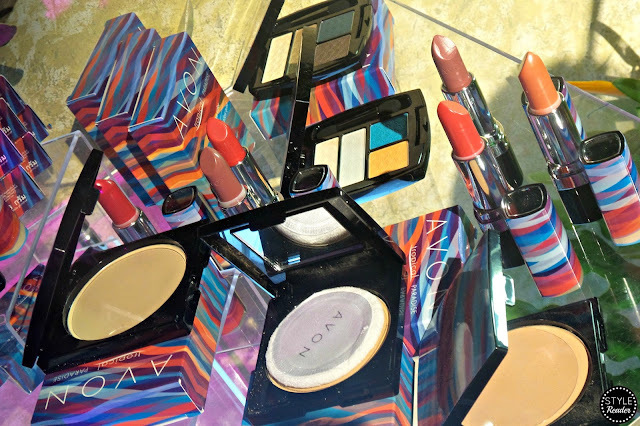 I can't wait to try them out!